This programme is developed in collaboration with ACRA for the learning needs of directors of commercial companies and those non-profit organisations which are incorporated as Companies Limited by Guarantee (CLGs). The speakers with domain knowledge in the legal, company secretarial and accounting field will in an interactive session take participants through the duties and responsibilities of directors, basic statutory requirements and basic financial statements as well as keep accounting and other records. An officer from ACRA will also cover the topic of “Compliance from the Regulator’s Perspective” and respond to questions. 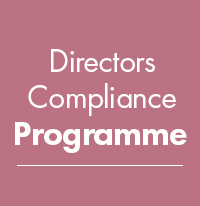 Directors who have not fully complied with statutory and annual return filing requirements under the Companies Act and have received instructions by ACRA to attend this course to rectify breaches. New directors of recently incorporated companies and nonprofit organisation incorporated as GLCs. Aspiring directors who want to know more before becoming a director. Price includes course materials, lunch and tea break.